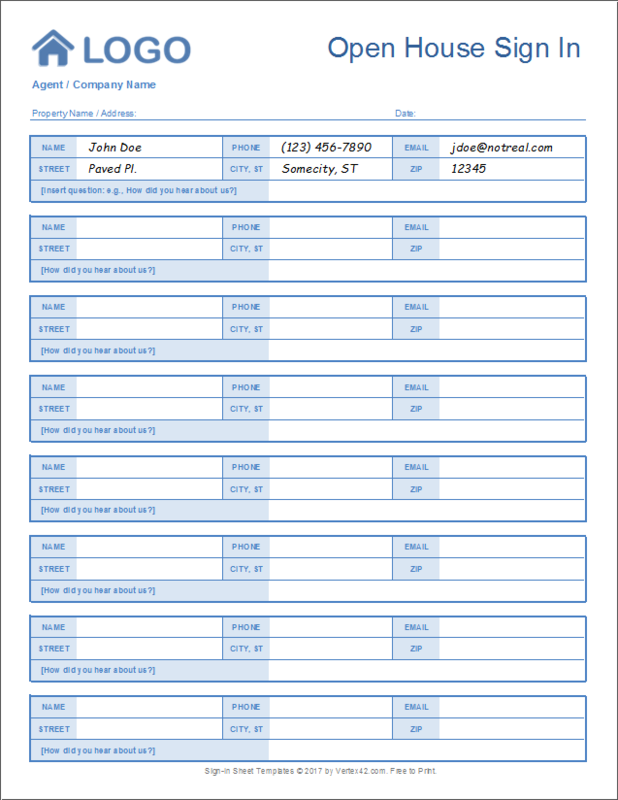 If you are having an open house to show a home you are trying to sell, you may want to have a visitor log or sign in sheet. This allows you to contact the people who visit, or simply to know how many people visited. 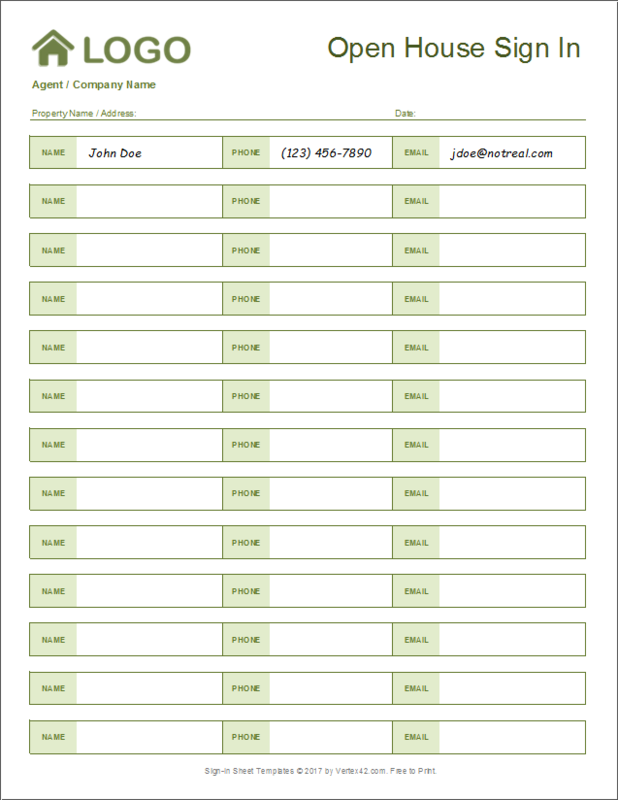 Not everybody is going to want to leave their contact information in a visitor log, but it certainly doesn't hurt to have that option available. 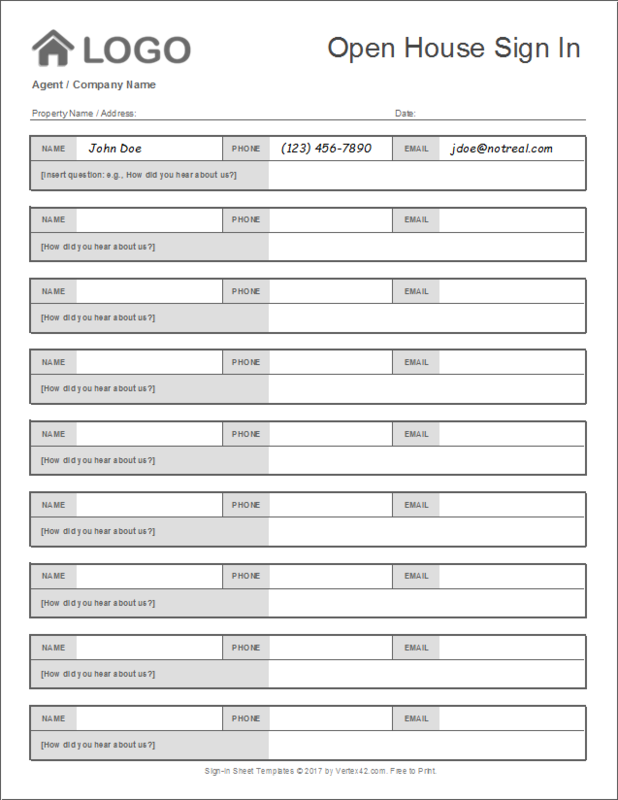 We've created a few different printable open house sign in sheets that you can open, customize and print from Excel. These sign in sheets, like most of our templates, are theme-enabled. This means that you can easily change the color scheme by going to Page Layout > Colors. After customizing it, print as many blank sheets as you need. To insert your own logo, first delete the placeholder image. Then go to Insert > Pictures and select an image from your computer. You often want to know how people find out about your open house, so this simple design includes the question "How did you hear about us?" If you want to change the question, edit just the first time it appears because the other cells reference the first one. This design allows you to collect visitors' addresses instead of just name/phone/email. 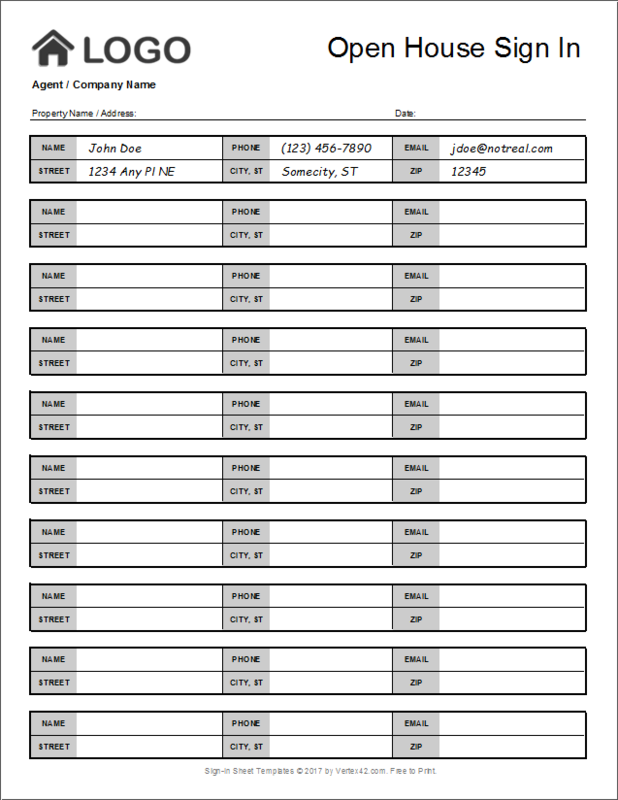 This may be useful if the real estate agent wants to add the contacts to their mailing list. Like the simple version above, this version of the detailed sign-in sheet includes the question "How did you hear about us?" Note that each of these sign-in sheets uses a different default color scheme, mostly to show you how you can customize the templates. If you like the color scheme used in one sheet, you can save the set of theme colors via Page Layout > Colors and then apply it to a different file.